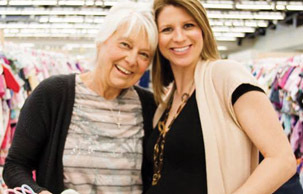 Bring your BFF to this savings extravaganza! You'll find aisles of the best in gently-loved and new items at great savings! We prefer cash but gladly accept debit cards, Visa, Mastercard and Discover. Kids and Husbands are Free! For more information on Early Shopping, please see the Consignor Details page. Sign up so you know when the next event is happening. "Friendly people, great environment, and awesome merchandise! It’s great supporting other local moms"